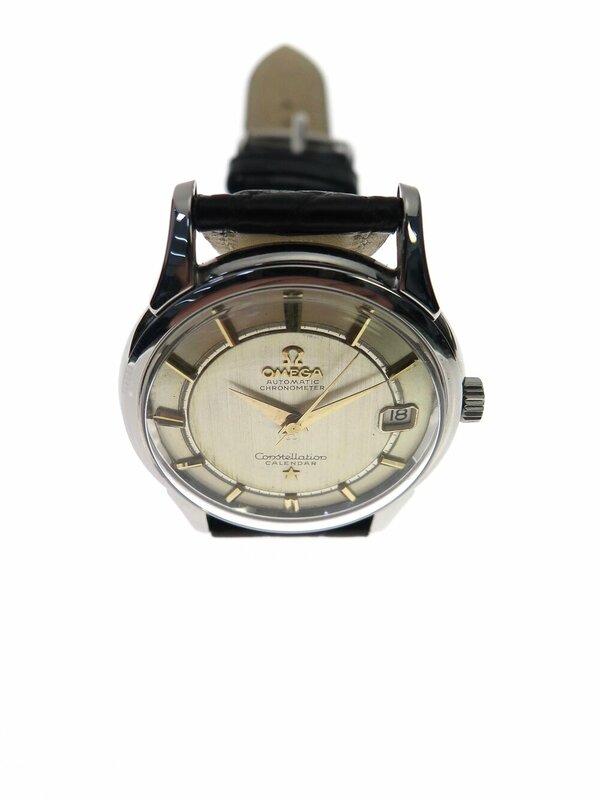 The Omega Constellation falls into one of the classic categories of vintage models. 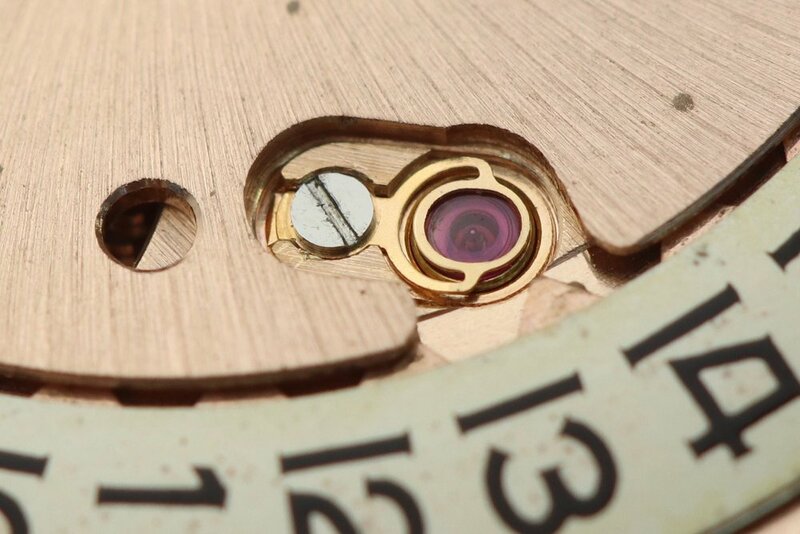 Made in the 1950's it was a chronometer, the calibre is recognisable by both its design and red gold colour finishing. 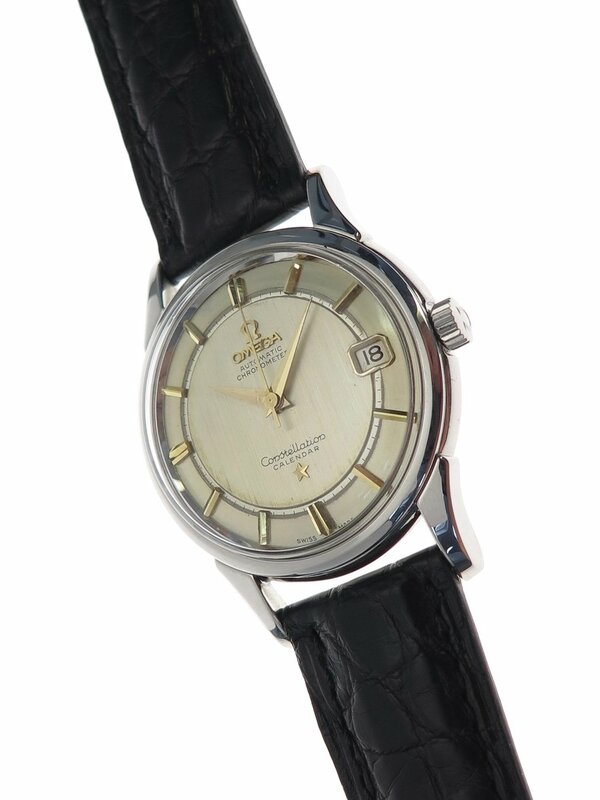 The Constellation was originally introduced in 1952 and became a best-selling product for Omega. 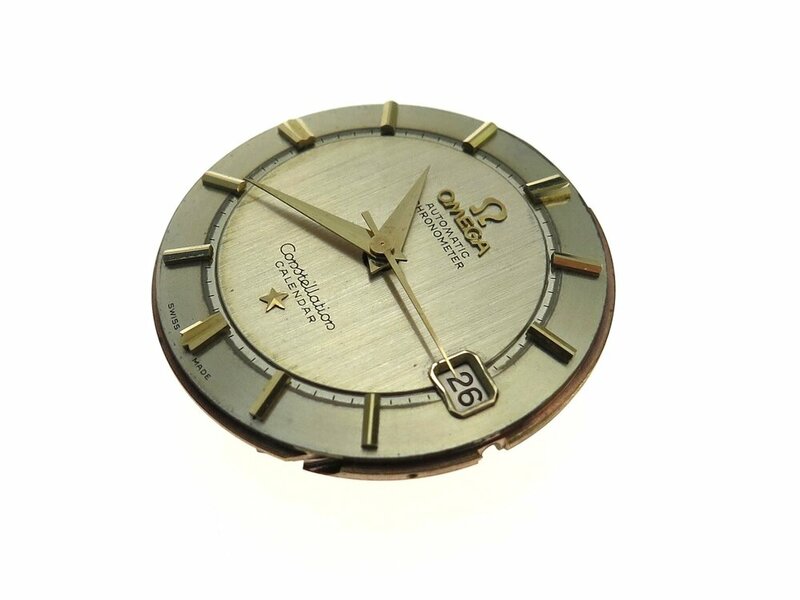 This model is predominantly in steel, with a steel and gold case back, (explanation below). 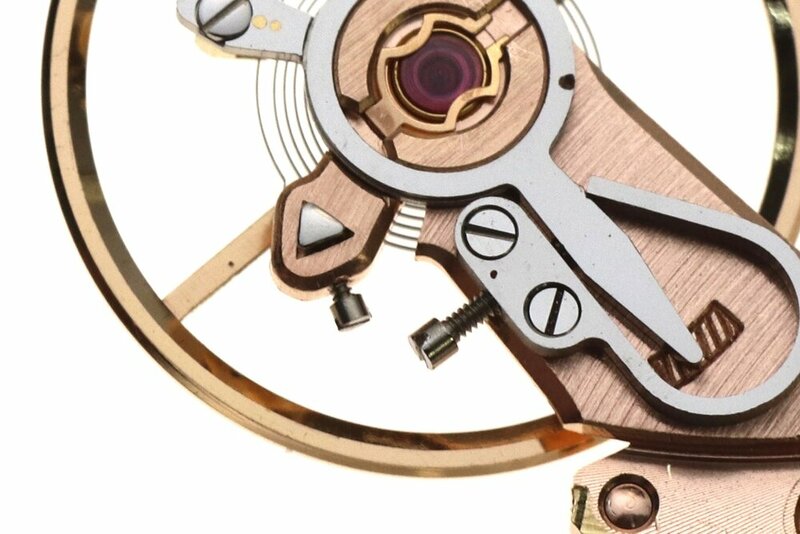 The case back is screwed on using a specific key and the case was originally water resistant to 5 atmospheres. 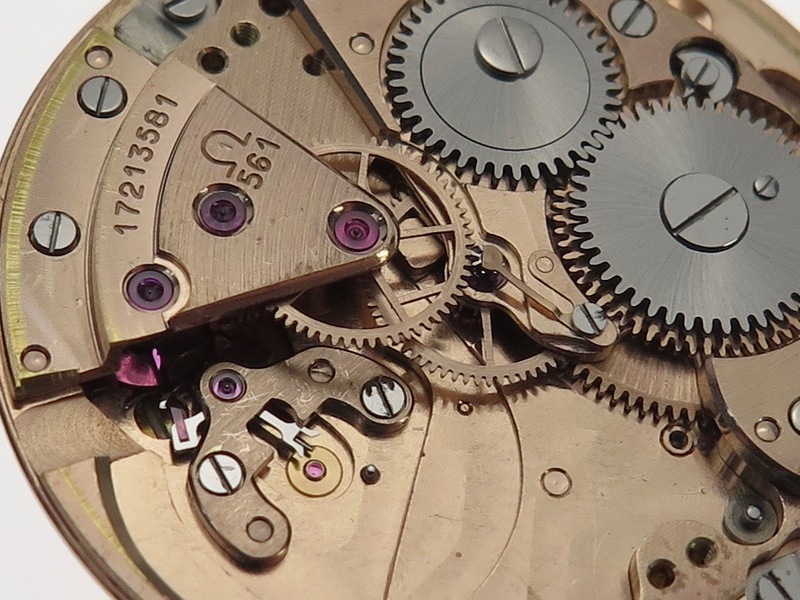 The watch has centre seconds with a semi-instantanious date mechanism. 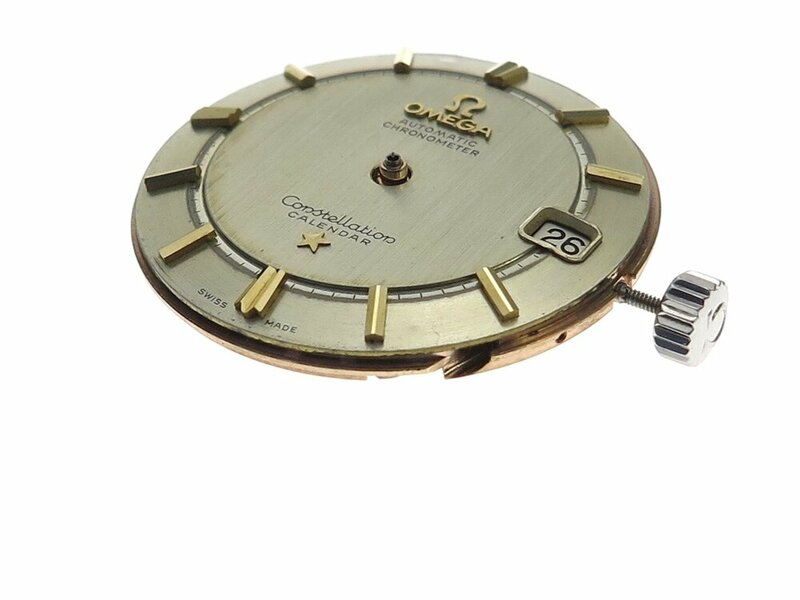 The symbol on the case back is the Cupola of the Geneva Observatory, where Omega had reset its own record for precision in 1951, surrounded by eight stars (on the images one has disappeared as a result of time and polishing), representing its chronometric achievements at the world’s observatories. 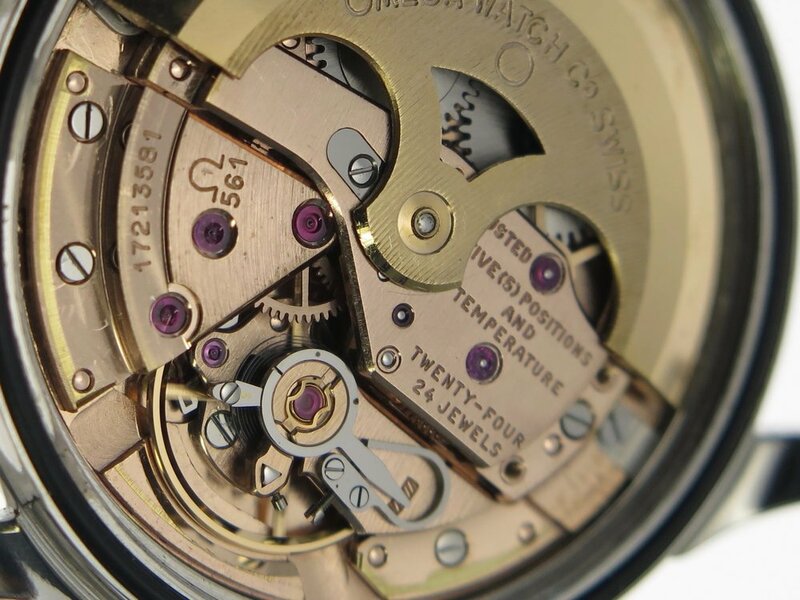 The difference in colour from the rotor and the main movement is probably due to an exchanged rotor during the life of the watch. 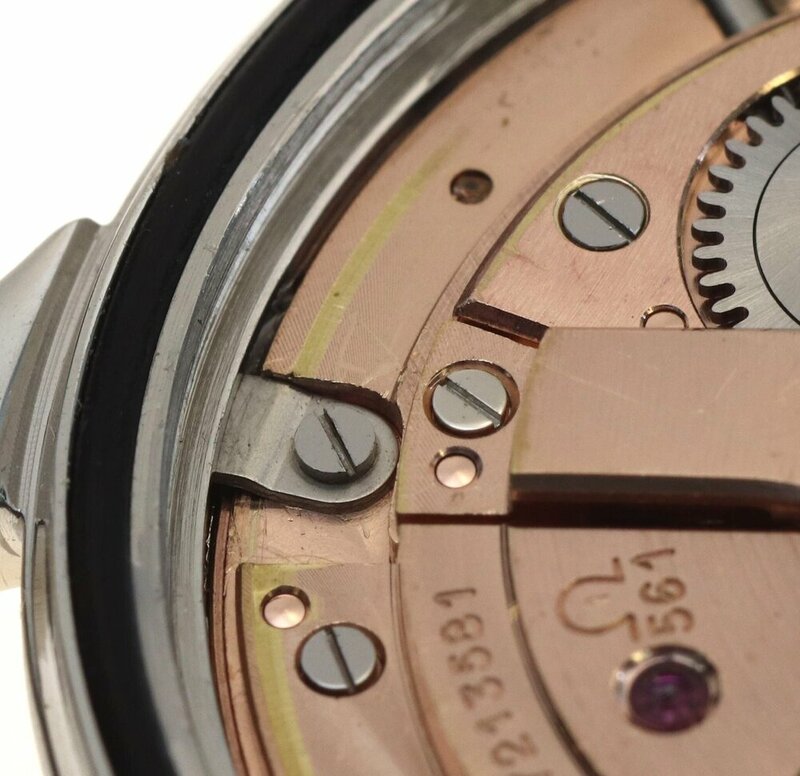 The new rotor is correct for the watch but more recent, exchanged as a result of a worn rotor weight bearing. 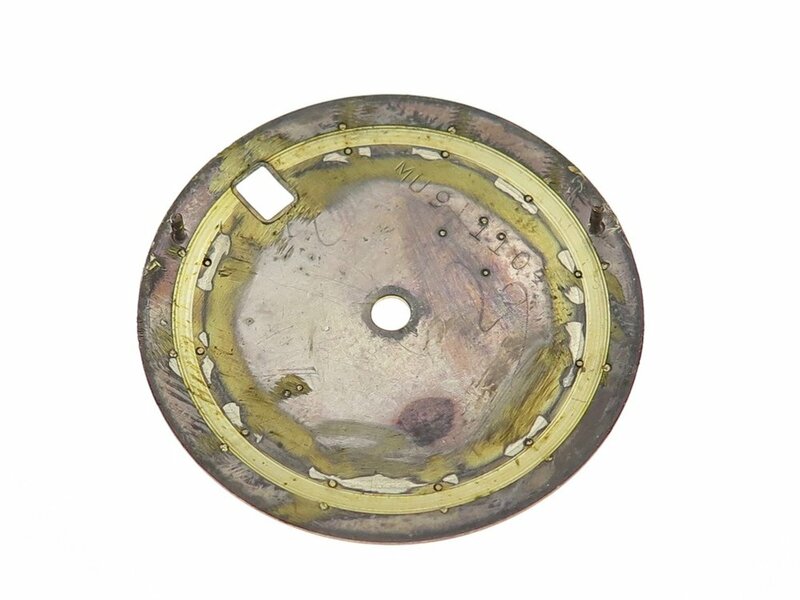 When the bearings wore the entire rotor would normally be exchanged. 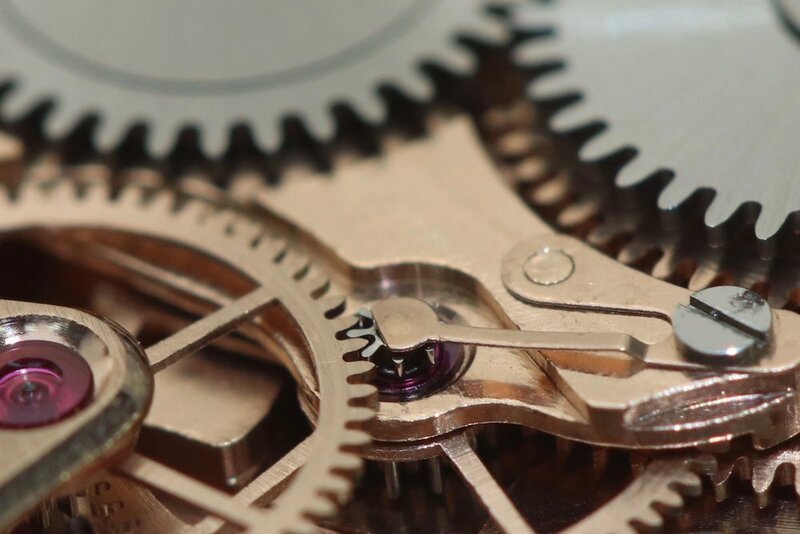 This is supported by the worn bridges at 6 o'clock of the above image where the plating has been removed because of the bridges rubbing against the under side of the worn rotor. 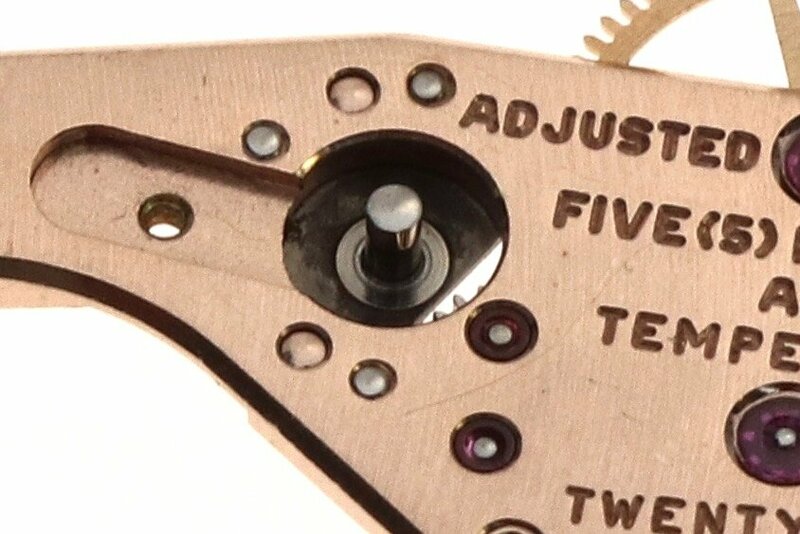 Technical. 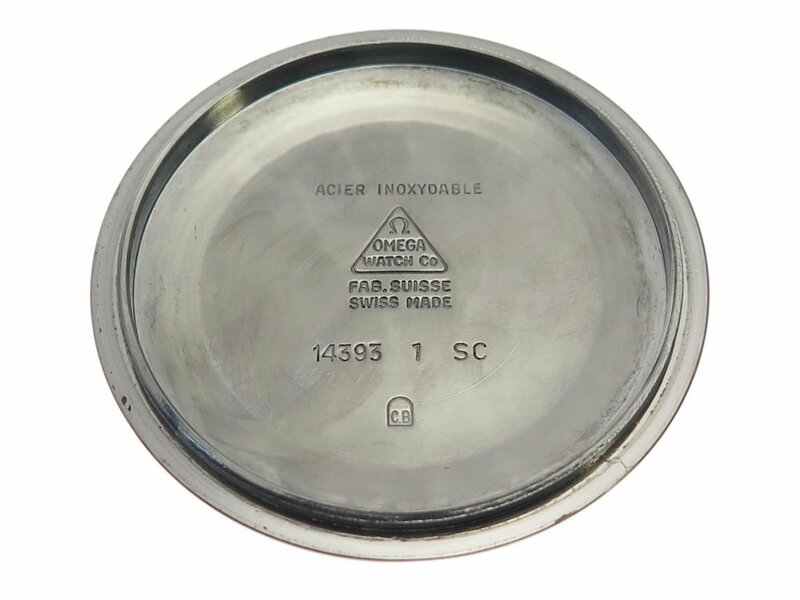 Omega caliber 561. 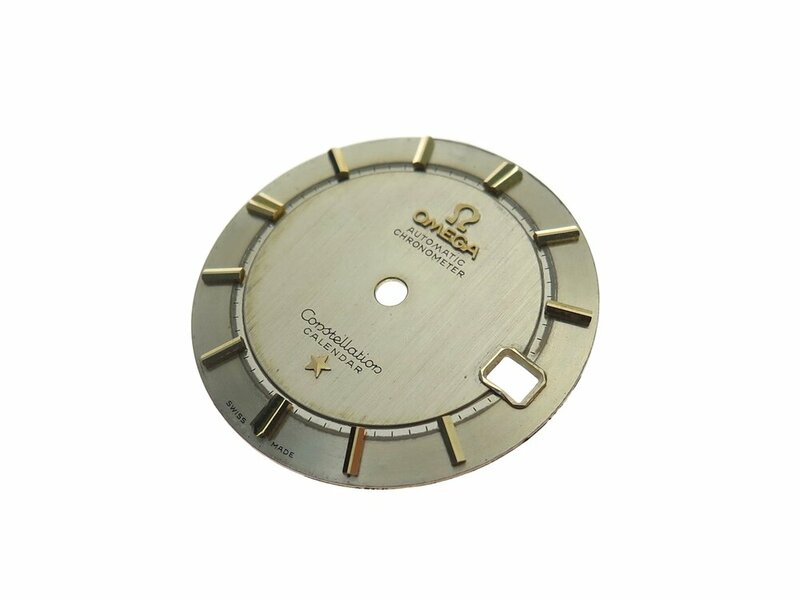 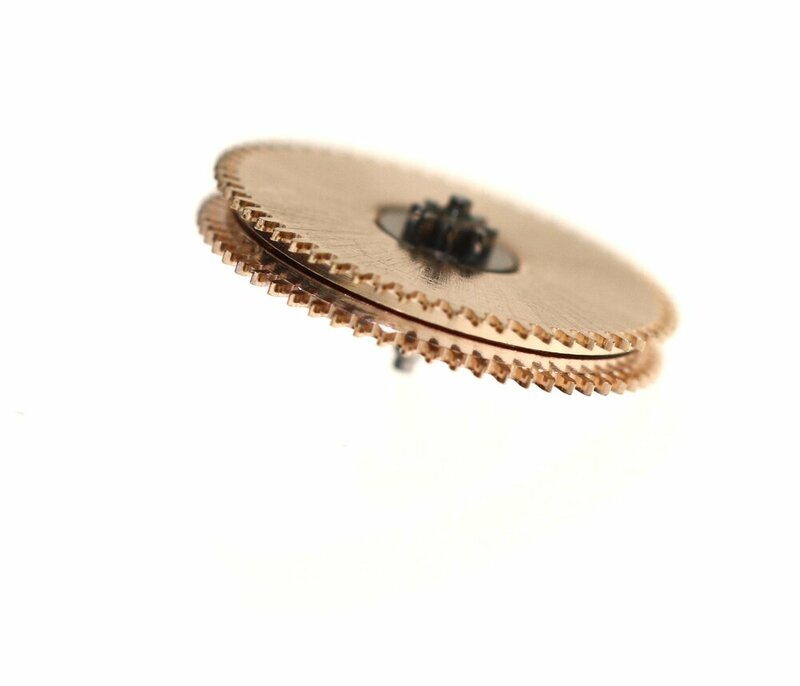 Diameter of the calibre is 28.4mm, its height 5.0mm, it has 24 jewels and a frequency of 19800 A/h, power reserve approximately 48hours. 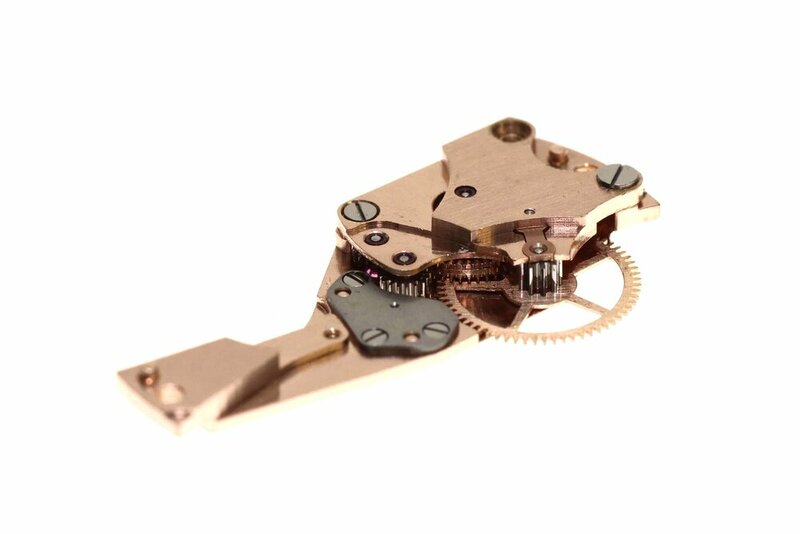 Bi-directional automatic winding. 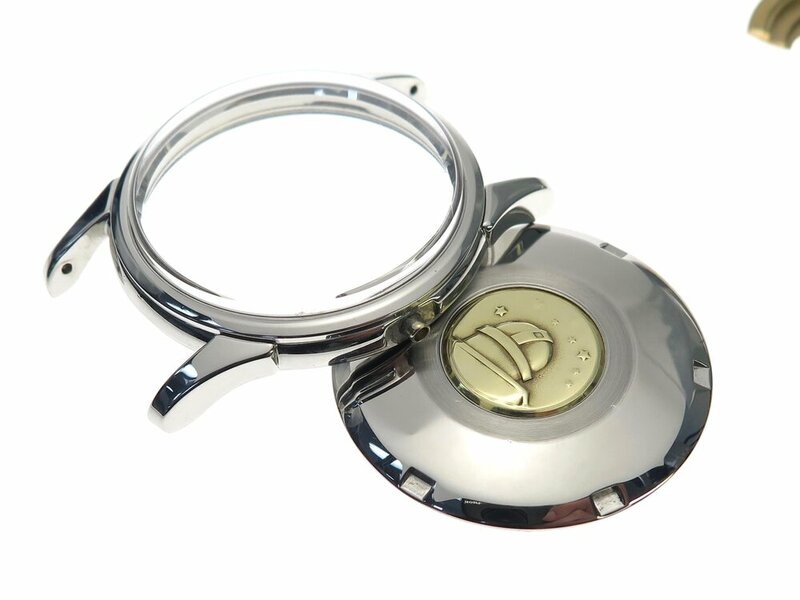 Access to the lower balance pivot shock protection. 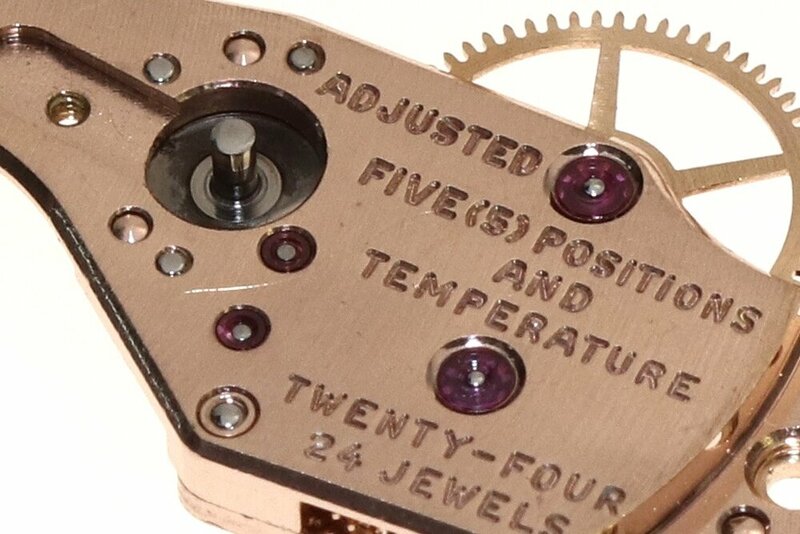 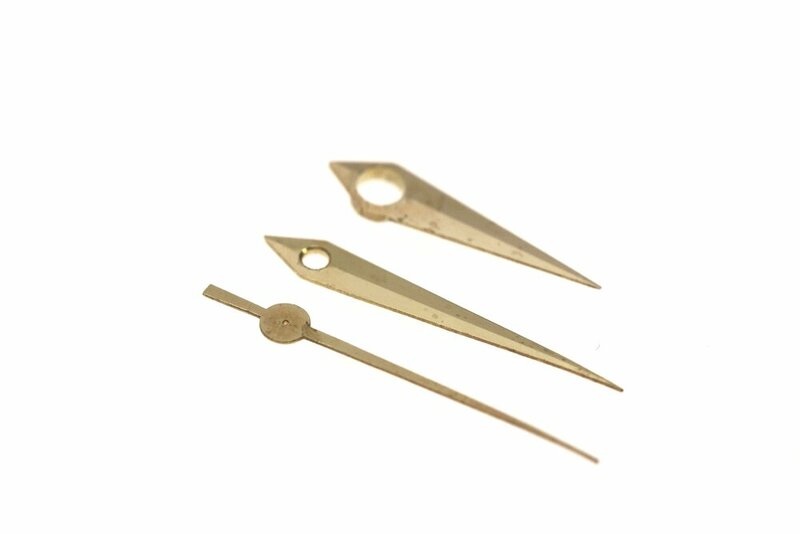 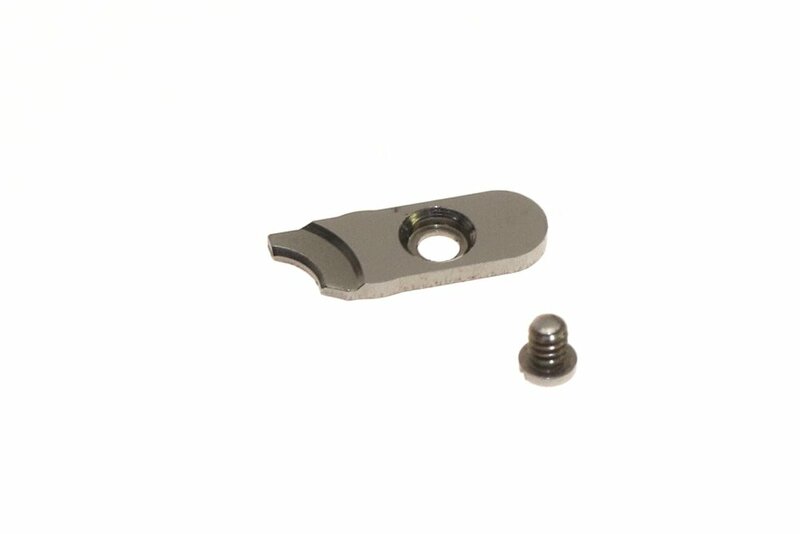 Below, the seconds pinion friction spring. 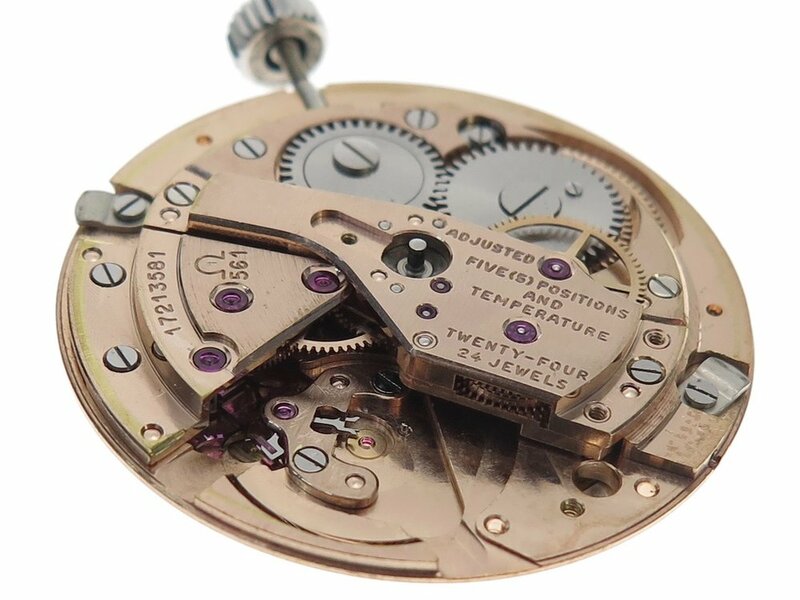 Necessary to take up any slack between the pinion and its driving wheel to allow the seconds hand to move smoothly.